Our research, and years of experience working with executive teams, tells us that game changing results come from just six, game changing, conversations. 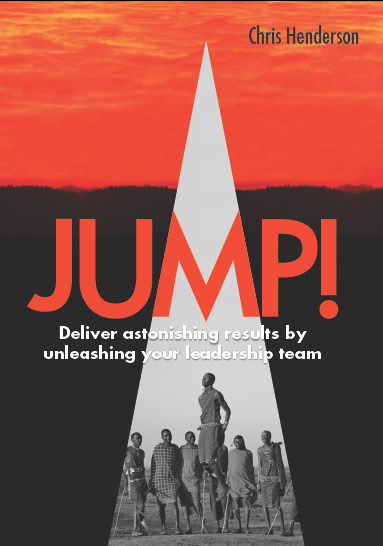 What joint ambition would motivate every member of the team to take risks, make genuine personal changes and reach for the extraordinary rather than settling for good enough? Building the mutual understanding of strengths, weaknesses and motivators that allow you to draw the very best out of each other – and to create the trusting environment that will permit truly searching and challenging debate. Having the tough conversations with one another that are needed to hold each other to the highest standards of behaviour and delivery – in a way which feels safe, appropriate and supportive. Making choices and getting agreement about key priorities not only in order to deliver for customers and financial stakeholders, but also to be able to focus and deliver processes to the organisation. Jointly planning and monitoring the delivery of activity to drive results. The critical projects will all require cross functional effort – so the top team will need to lead by example and work together closely to unblock barriers and overcome silo thinking. However well you plan, your customers, markets and people will never respond exactly as you expect. Your ability to deliver, and to sustain progress, will depend on powerful, insightful and challenging conversations to understand what has happened and how to respond. Are all of these conversations are happening regularly, and to a consistently high standard, in your executive team? Your working life will be more exciting and motivating – through being part of a team that you are proud to be a part of and which makes coming to work rewarding and enjoyable. You’ll become a better leader – by learning from each other and from us about what it takes to get more from yourself and those around you. Your results will take less effort to achieve. Having everyone pulling together, inside the team, within the wider executive team and across the organisation means that members of such teams talk about it being “like running downhill rather than climbing a mountain”. You will have more energy. Instead of having to constantly invest energy to resolve problems and make things happen, you’ll be continually energised by those around you and your work together. You’ll feel more in control because you’ll be spending less time fire fighting and more on charting the course of the organisation towards future success. Your personal stock will rise. It’s a simple fact that the results of teams like this get noticed – and those who were part of it are quickly poached to bigger and better jobs. You’ll get more home life back. By distributing effort more widely, and working together effectively, you’ll get to spend less of your evenings and weekends working – and more on your family and the rest of your life. Most would accept that the performance of the top team is incredibly important – and that more investment is required in it. Few, however, have addressed it effectively. Creating the Game Changing Conversations and delivering the transformed results, requires sustained work both with the executive team as a whole and with each of its members. No two executive teams are the same so each needs a different approach – with different levels and types of support required at different times. Our support provides you with whatever you need, whenever you need it in order to deliver the results you seek over a period of nine months. Engaging the team and ensuring that everyone’s insights are used to inform the design. Designing the structure and process of your meetings to ensure that the Six Conversations take place. Facilitating the Conversations to ensure they happen to the highest quality and also to allow the leader to participate rather being ‘chair’ (and mediator!). Review and record what happened to ensure that it is followed through – and that the outcomes are used to inform both the next session and the individual coaching. Bring in experts where needed for short, high impact sessions on specific issues. Helping you to manage and work through the inevitable discomfort that will come from dealing with difficult issues and working outside your comfort zones as you try new things. To ensure that this delivers results, we’ll take a measure of team effectiveness before and through the programme. We’ll then work with you to continually review how this is improving – and that it is being translated into improved results for the organisation. In tandem with this we will work with every team member to ensure that they bring all of their strengths and talents to the work of the team. We will also help them to find ways to manage and minimise the aspects of their behaviour that are unproductive and cause unhelpful conflict. In addition to improving their personal contribution to the executive team we will also help them to magnify the impact of the changes in the executive team by helping them improve the effectiveness and alignment of their own teams. A series of 1:1 executive coaching sessions – to help each person make and sustain behavioural changes. Psychometric profiling and reports – to help individuals understand their own style and expand the range of choices they have for working with others to get results. Work shadowing – providing real time feedback in order to increase awareness and expand options. Books, articles and other reference materials on relevant subjects to expand their effective range of action. Introductions to other leaders who have faced similar challenges. Continuous, ‘on demand’ telephone and email support – so you can get help whenever you need it. 360 feedback will be used with all team members before, during and after the programme to ensure that the right issues continue to be addressed and to monitor progress and results.